What is BA up to …..? This cryptic post, which contains an expensively made video, has appeared on Instagram. What is coming on 1st February that is linked to BA’s 100th birthday …..? Thanks to Tim for flagging. 31st January is your last chance to book in the British Airways Winter sale. You can take a look at what is available via this special page of ba.com. 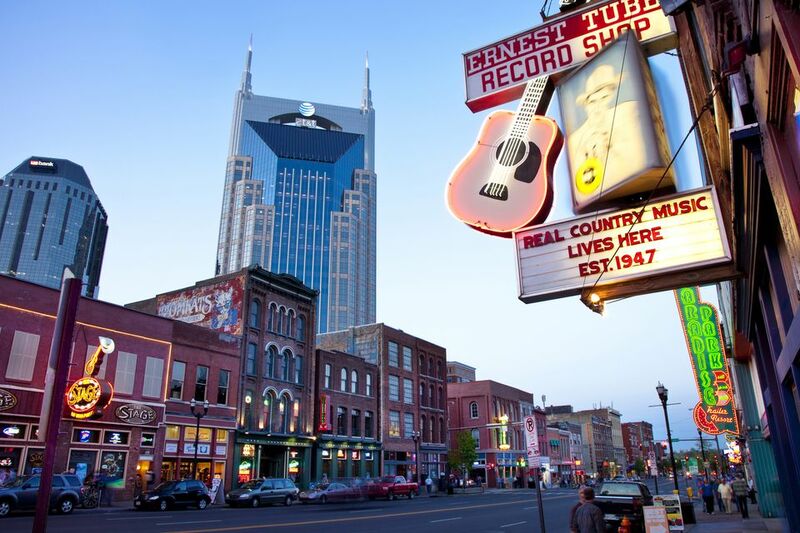 Nashville, pictured below, is the star deal, with Club World return seats available for £1,376 in March. New Orleans is also looking attractive with Club World fares as low as £1,541. The Caribbean looks interesting – Kingston £1,214, Punta Cana £1,493, San Jose £1,494 and so on. As usual, don’t book a Club World flight before pricing it up via BA Holidays – see here. Adding a hotel or car can often cost little more, and sometimes less, than the flight itself. BA Holidays also lets you lock in your trip now by only paying a small deposit, with the balance only due five weeks before travel. Sale flights are still valid for ‘part pay with Avios’. How much you save now varies by route and by class, and the value per point tends to get worse the more you try to discount, but it is always worth taking a look at what is on offer for your particular ticket. There are also deals in Economy and short-haul Club Europe, including short break deals via BA Holidays. As usual, travel dates are all over the place depending on whether you are travelling short haul or long haul, whether you are flying from Gatwick, City or Heathrow, and what travel class you are flying in. In general you’ll find you can book up to either May / June 2019 or mid December 2019. The two current Hilton sales are also ending this week. The first sale, which ends on Thursday 31st, has decent weekend deals across Europe, Africa and Middle East. Full details are on the Hilton website here. The sale offers up to 25% off the standard Best Available Rate if you are a Hilton Honors member. That said ….. basing the ‘25% saving’ on the Best Available Bed & Breakfast rate is not exactly fair. Sale rates are non refundable so it is cheeky to compare them to a refundable rate but these deals do usually offer a saving on the usual ‘advanced purchase’ price. Full pre-payment needs to be made at time of booking. This rate is only available for weekend stays until 29th May 2019. There is a separate Hilton sale covering its properties in Asia and Australasia. See here for details. It includes hotels such as the Millennium Hilton Bangkok. If you are heading to Thailand you might also want to take a look at the brand new Waldorf Astoria Bangkok which looks impressive. The deals are valid for stays up to 30th September. These deals can be booked until Saturday 2nd February. The headline saving is ‘up to 25% off’ the standard flexible rate – albeit these bookings are non-refundable. Full details of the APAC sale can be found on this special page of hilton.com. If you are booking a Hilton sale room, don’t forget the new Spring promotion, Points Unlimited, which is open for registration here. You will earn 2,000 bonus Hilton Honors points for every stay until 5th May. Even better, you will earn an additional 10,000 bonus Hilton Honors points for every FIVE stays OR TEN nights you complete, whichever comes first. 2,000 bonus points per stay is a decent offer, especially for someone who tends to do short stays. The additional 10,000 points carrot for every five stays or 10 nights is a worthwhile extra bonus. If your hotel stays are generally just for one night then you should seriously consider moving them (in chunks of five) to Hilton this Spring. Make sure you register here if you have any Hilton stays coming up over the next four months. Even if you don’t have any stays planned, it is still worth registering just in case – a lot can happen between now and 5th May. We had some discussion about this yesterday. Shock / horror, but my missing points posted today. My balance has increased today, but by more points than I was owed from card spend. There was no entry in the itemised transactions list, so was waiting to see what that says. Thanks for reporting back, though! Looking at the sale we are staying at KL Doubletree for 3 nights and the options are 10,000 points or £48pn. Trying to work out which is the best option when you consider the 2,000 bonus per stay and the points we would get if we paid cash. Will be doing a Diamond match. You’d get the 2000 stay bonus when paying points or cash. I’d pay points as 10k HH points are worth less than £48 to me. General rule of thumb for us anything under three figs left of the decimal point then pay cash. Anything over 3 decimal points to the left then pay points. Midpoint depends what looks the better deal at the time. Have you looked at the new Hiltons in KL? two properties side by side, one (I think South) has a pool. Reviews look good, and cash rates are £20 when I looked (or I think 8k HH). I don’t know whether the location is less desirable though. Also, if you are chasing diamond, you could always switch properties one night if you really needed the extra stay. O/T the good news for flyers – if you *want* GBP to be strong, of course – is that the alternatives, esp EUR & USD, are looking IMV to have a far weaker outlook than sterling. Fed is going to stop its interest rate increase cycle & may even reverse it. Eurozone still a basket case with even N Europe going into recession this Q, on the cards at least. GBP not exactly primus inter pares but more like best of a bad bunch with a lot already in the price. Bad Brexit would change all that. OT: My passport surname & current surname are different, as I’ve not updated my passport following marriage yet. I’m considering getting a new BAPP AMEX & wonder if anyone knows if I’ll be ok to just apply using my old surname (it’s part of my current double barrelled surname) to then make the transfer of Avios to EC straightforward? AMEX did once, as an exception, do something which circumvented the problem when the card was in current format, but by goodness that was a ridiculous palaver so want to avoid any of that faffing around again. Yup, me too. It’s perfectly fine to carry on using both, e.g. your maiden name professionally and your married name in private life. 98% of people I know and work with do this! I went to a lot of trouble with BA and Amex on my partner’s behalf, getting his names to match up on his Passport, Esta, BAEC, and Amex. Then when I referred him for Amex Gold, he applied using his short surname instead of the full surname (his full surname doesn’t fit in the surname field on an Amex application, or on the Amex change of name form, so he used the shortened version.) I only found out when I asked him to transfer some MRs to BAEC and they bounced back. I’ve created a new BAEC member with the short version of the surname, added them to the household account, and the points have now gone across. Oh, and although his 24 character surname has three spaces in it, the spaces are stripped out when his boarding pass is printed, making the whole thing unreadable. The cabin crew never know what to call him. Keep it simple. And consistent!